There’s just something about pens and highlighters that’s really, really tempting. First of all, they come in so many pretty colors and pretty designs, so it’s often a quick and easy impulse buy. And secondly, they make our notes look great! The only setback to having all these wonderful pens is that keeping track of them can be tough. Pencil cases are handy when you need to take them around, but what if you need them ready at a moment’s notice when studying at a coffee shop or highlighting important stuff in a lecture? Enter this heaven-sent stand that will make any organized, OC person happy: Joanne’s Highlighter Stand and Holder! These highlighter stands come packaged in a box, making it perfect for giving as gifts. Of course, you can use it for yourself too! It even comes with a personalized message from the seller herself, as part of her #imhereforyou campaign. Through the message, she wants you and whoever gets her highlighter stand to know that you’re not alone. There are people out there who love and care for you. In trying times, she tells you never to give up and that things will get better. She even makes herself available on her social media account, should you need a listening ear, or someone to vent to. 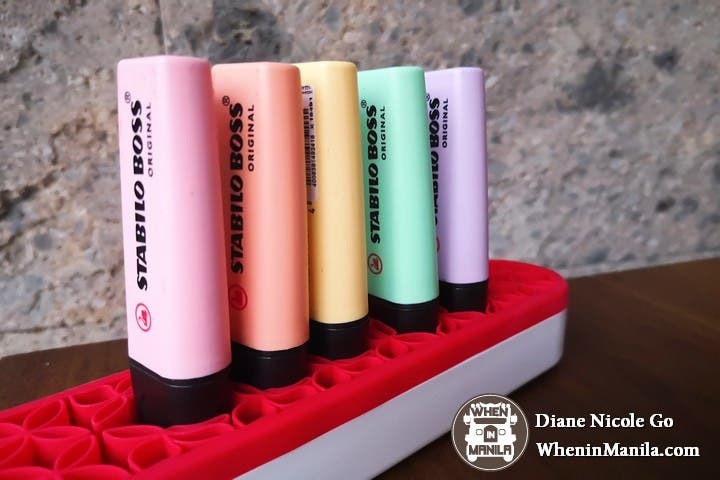 Joanne Lascano, a second-year medical student in the Far Eastern University (FEU), is the creative mind who sells this Highlighter Stand and Holder. While these highlighter stands are already available in online sites like Lazada and Shopee at a whopping Php500 to Php1,000, hers comes at a more affordable price of Php350. When Joanne was just starting out, she was able to sell 100 pieces in one night! And in a week, she sold 300 more, with pre-orders lined up for the next batch! Thanks to features in Instagram sites like @maartistmd, @LawStdntsofMNL and even by blogger Patrice Marasigan, these silicone stands were selling like hotcakes! 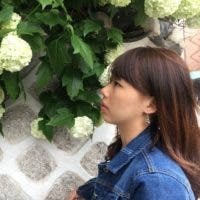 Joanne then made this her sideline business in addition to juggling her studies. Why sell a Highlighter Stand of all things? Because it’s a must-have for every student: her included. Go visit a campus, and you will see law students and medical students furiously scribbling notes or with their noses deep in thick books, while their pens and highlighters stand neatly on the side— all thanks to these stands. It’s easy and convenient to just pluck the pen you need, then put it back afterwards. It definitely beats riffling through your pencil case every time! The Highlighter Stand and Holder features a flexible silicone top and a sturdy plastic bottom. It’s small, and easy to bring around, especially when you’re off to the library or just switching classrooms. Joanne’s silicone stand is unisex and comes in a wide array of colors: red, pastel green, peach or light pink, hot pink, black, gray and purple! 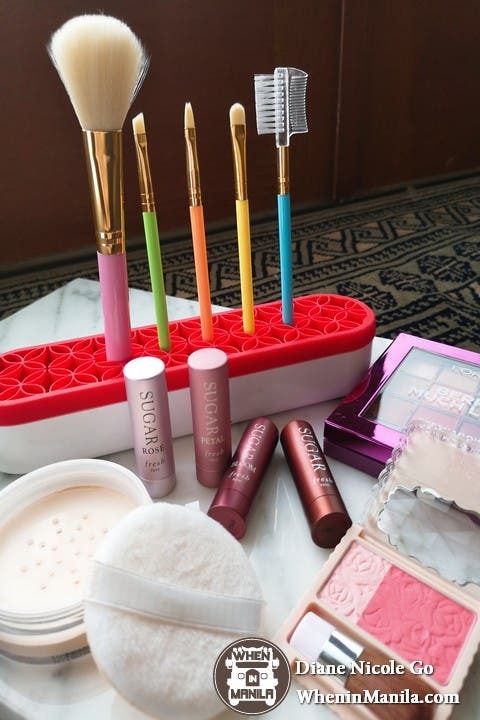 Don’t be limited to just using it for highlighters—these stands are so multi-purpose, that you can use it for just about everything! For law students and medical students with a ton of readings to go through, you can easily keep your highlighters in one place! For art students, creative crafters, or anyone who’s into bullet journaling, you can use the stand for your art materials and pens! And if you’re a makeup artist, you can put your brushes here for easy access! The possibilities for this stand are endless (you can even put your phone in it! Trust me, I’ve tried)—plus, they’re just so cute and Instagrammable! 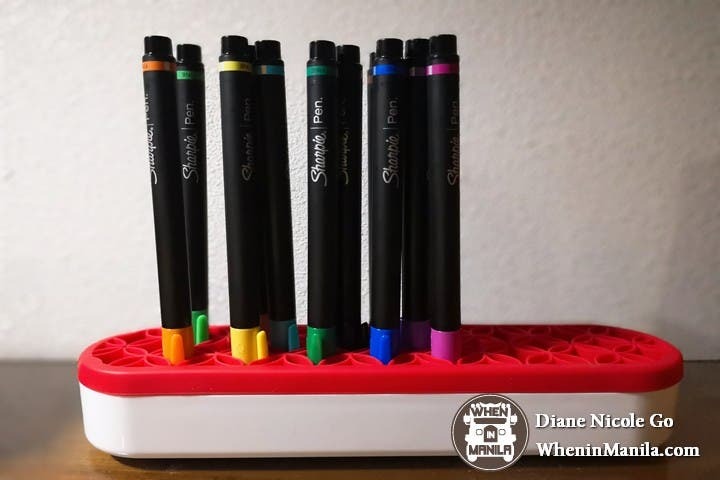 Start getting organized with this Highlighter Stand and Holder, and your neat freak self will thank you for it! Get your Highlighter Stand and Holder here! 14 Awesome Brands to Watch Out for in 2017!